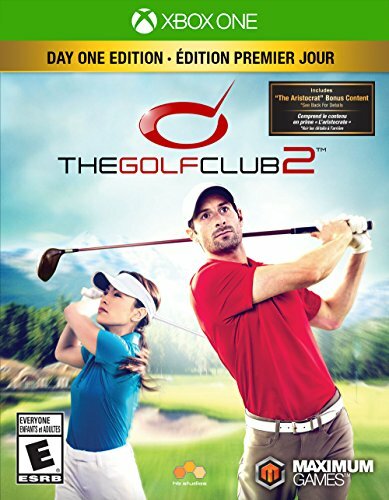 The Golf Club 2 Review - On Par For A Golf Sim — GamingWithSwag.com - Dads By Day, Gamers By Night. High-Level Premise: Become the world’s greatest golfer! Graphics/Style: Overall, the graphics look very nice, sometimes bordering on photorealistic. There are no frills to the presentation, but what they do have does the job. Music/Soundtrack: Some light ambient interstitial music on menu/leaderboard screens is about it. Story: There is a career mode, but there is no real story to follow. You just play in tournaments and win coins that you can spend in various ways. Replay-ability: There is a ton of content to explore. The lack of any overall goals may cause interest to wane, especially for people that have access to console golf games. Time Commitment: A single round takes about 15-20 minutes. Value: If you are a die-hard golf fan, and are looking for a good representation of the sport on a PC, you can do no better. Favorite Element: The lighting in this game is phenomenal. A few times I just sat back and took in how beautiful the image on my screen was. 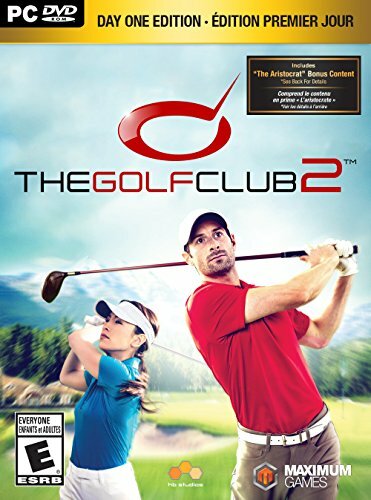 Right off the bat, I will say that I never had a chance to play the original Golf Club game, so I am unaware of how things in this one are different. It had garnered Mixed reviews on Steam overall the last time I checked. I have been in the market for a good golf simulation for a while now, so does The Golf Club 2 fit that bill? Let’s hit the course and find out. The easiest place to start with The Golf Club 2 (TGC2) is with the graphics. They are the highlight of the game by a long shot. I’m in particular a fan of the lighting effects used in the game. I was playing a user-created version of Pebble Beach (more on that later) and the sun was starting to go down a bit and it was purely magical. I’ve had a number of “whoa” moments already while playing TGC2. I don’t have a particularly cutting edge system, so every once in a while I see a texture or two pop in, and the camera scrolling is a bit chunky at times, but overall the graphics in the game are extremely good. I will note that if you are playing a course at midday, with no clouds in the sky, the sun can be so bright as to completely obscure the green slope grid, making putting nigh on impossible (and it’s not easy to start with). It would be nice if there was a way to have more contrasting colors. I’ve also noticed a disturbing amount of times where, if I am near a tree or a rock, that the game completely obscures the view of my golfer...making it impossible to take a proper swing. I did find one very odd graphics glitch I felt needed to be addressed. This happens anytime I either continued on to a new round of a tournament without going back to the clubhouse screen or switched areas of the practice grounds on the fly. The top of my screen filled with these weird little black boxes, and they did not go away. As I’m a person that gets bothered by images like this (don’t go looking up trypophobia), these little boxes actually made me queasy. Luckily, they went away as soon as I went back to the clubhouse, and I could then resume play. I hope an update fixes this issue. Graphics are nice...but they are meaningless without tight game play. TGC2 does well in this field to a point. There is full controller support, or you could use mouse controls. Mouse control may make a more realistic golf swing motion, but I’ve found it far less usable. I even went so far as to use the side of my keyboard as a guide, and I still couldn’t make the ball fly straight on a consistent basis. Game pad controls are the way for me. All swings are performed with a tempo driven swing using the analog pad. Completely gone are the 2-click or 3-click meters from days past. There are three different levels to help ease you into this system, but it’s not really necessary. By my third round, I was more than proficient at the most challenging level of swing. I do note that shots that take more finesse such and flop shots and chips require a more deft use of the analog stick to pull off successfully. I am also very appreciative that the game includes a handicapping system. If I were to actually have a group to play online with, this would definitely help keep things much more even. Putting on the other hand... where do I begin? The putting stroke works the same way as the regular swing. There are no meters to show how far you are about to hit the putt. So learning how hard to hit is a real challenge. And I love that about this game. However, it just does not feel right at times. The biggest offender is when putting downhill. The ball reacts far, far too severely to mild slopes and breaks in the greens. Oddly, putting uphill almost always feels perfect. Getting decent at putting in TGC2 is a very rewarding experience, but it needs some work. TGC2‘s sound design is really quite nice, if sparse. I like the ambient noises of planes flying overhead, birds chirping, and water running. I’m not a fan of the voice over. You have a caddy of sorts that talks you through tutorials, and out on the course gives you the typical encouragement/mocking depending on your shot. My issue is, especially during the tutorial, is he is very robotic sounding. Almost like he has never spoken words before. I did chuckle the first time I played a tournament, because the tournament announcer is the same guy as your caddy, just with a bad put-on “announcer" voice. Luckily, you can turn his commentary volume down to 0, which is different than off. Unfortunately, TGC2 is always online, even in a single-player game. As I am not blessed with fast internet, I often get a brief freeze as the game grabs a witty quip from the server. This happens even though I have the voice-over turned down to 0. The crowd noises during tournaments are also oddly lackluster. It goes at worst from concerned mumbling to mild approval at best. TGC2 has only a few modes of play. You can play a regular round with up to 4 in local hot seat multiplayer with a few basic types of play (stroke play, match play etc.). Players can also upload “Ghost” rounds that you can play against. Sadly, these you don’t get to see these recorded rounds play, you just see a little box flying around the screen. The only way to play a pick up round with an online opponent seems to be if you have in-game friends, and you start a round on a course they are already playing. Since I have no friends, I pretty much stick to just single rounds and the career/society modes. Ghost round vs. Justinh. He's the random pink box on screen. The highlight of any golf game is its career mode. Where you watch the young golfer struggle, and work up to finally making the pro tour, and eventually become a golfing legend. The career mode in TGC2 is less than impressive. TGC2 has things called “Societies” that work much like online clubs have in the past in Tiger Woods games. You can start an online society or a solo career society. In your solo career society, you can set up how many tournaments and on which courses you will play. Based on how you perform, you win coins which you can use to unlock the ability to have longer seasons, more variety in course settings, higher AI difficulty levels, and eventually majors. But that’s kind of it. There are no sponsors (as there are no real world brands at all in the game), no Q School, no fatigue, and none of the progression that you see in other golf games. I feel this is the game’s biggest drawback. It’s hard to find the motivation to want to keep climbing the career ladder when there’s nothing at the top worth aiming for. The online societies are a bit more interesting in theory. You can start your own online society, or join one of the thousands that already exist. If you join one, you have access to leaderboards and tournament structures made up by another player. I joined an “Open to All” society made by the designers of the game. In it, they offer a season of 5-6 tournaments of various lengths. Based on how well you do in the tournaments, you can win coins. Some of the clubs have membership fees (all paid for by the in-game currency) and tournament entry fees. I have noticed that even after a week of being available, there are tons of players that either cheat or have the insane ability to shoot at minimum 18 under par every single time on every single course. I already feel like I can’t be competitive in the online game. I likely won’t play it often. As I’ve mentioned, there are no real world name brands in this game at all. There are 20 official courses included with the game, but they are all designed either in-house, or by some of the top community designers from TGC1. Now, this is honestly not a terribly big deal. Let’s face it, except for a few signature holes at the truly top level courses...how many golf holes can you actually recognize on sight? Most of the official courses are well designed (if not a bit generic). There is a top notch course designer included with TGC2. Anyone can make a course and publish it. I could probably write an entire review about just the course designer. Let’s just say it’s extremely powerful and fairly user-friendly. This user friendliness (and the fact that all courses from TGC1 came over to this game) means there are over 100,000 courses available to play! And if you dig enough, you can find many real world courses faithfully reproduced in the game. I have played a round on a tremendous Pebble Beach recreation. This shot is perfect...don't mind the ball missing the cup by 6 inches. Character customization is on of TGC2‘s strongest suits. There are dozens of aspects you can modify to make the most realistic character possible. The coins you win in tournaments can be used to unlock dozens of more options. There are male and female options, as well as right and left-handed. Unfortunately, because of the lack of brands in the game, there are only 3 sets of clubs, and they are based on difficulty to hit the ball. You can modify their looks and which clubs you carry in your bag. I do like that they give you the option for Hybrid clubs instead of long irons. Overall, TGC2 is a mixed bag. The visuals are stunning, but the camera angles need a bit of work. The golf swing mechanics are a subtle evolution from previous games I’ve played, but the putting game is just off. Ambient sounds are great, but the voice-over and crowd noises are lackluster. There is so much customization in the game: from character creation, to being the commissioner of your own league, to building your own course. On the other hand, there aren’t any “goals” past making the game harder that I’ve found to keep me invested in this game for a long time. The Golf Club 2 has a very solid base, and one I definitely recommend trying, but lacks the depth and polish around the edges to make it a truly great package. Join the Club! 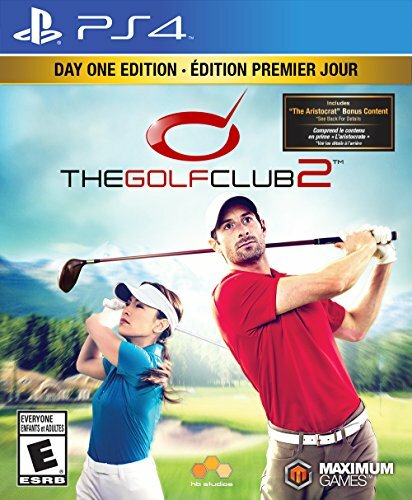 http://thegolfclub2.maximumgames.com/ Available June 27th in North America & worldwide June 30th Experience golf at its finest in The Golf Club 2, available now on PS4, Xbox One, and digital PC. Play thousands of pre-built courses or create your own, compete in dynamic tournaments, and progress your career by rising the ranks in lush, vibrant settings around the world! A 40-something that believes playing games is one of the most important things a person can do. Still a Toys R Us kid.